Have you in your widest dream, ever think that a shampoo could give you a deadly disease like cancer? Yes, that is what the findings say. As per the Center for Environmental Health (CEH), around 98 shampoos, soaps as well as other personal care products that is been sold all over by national retailers contains cancer-causing chemical in them. It was found in an independent test conducted by CEH. Most of the tested products contained more than 10,000 parts per million (ppm) of cocamide DEA (A chemical as possibly carcinogenic to humans). On the whole CEH found 98 products that continued cocamide DEA as one of the ingredients and not one of these products had the warning notice which is required by state law. The cancer causing chemical is cocamide diethanolamine (cocamide DEA), which happens to be a chemically modified form of coconut oil. It is used as foaming agent or a thickener in most of the products. 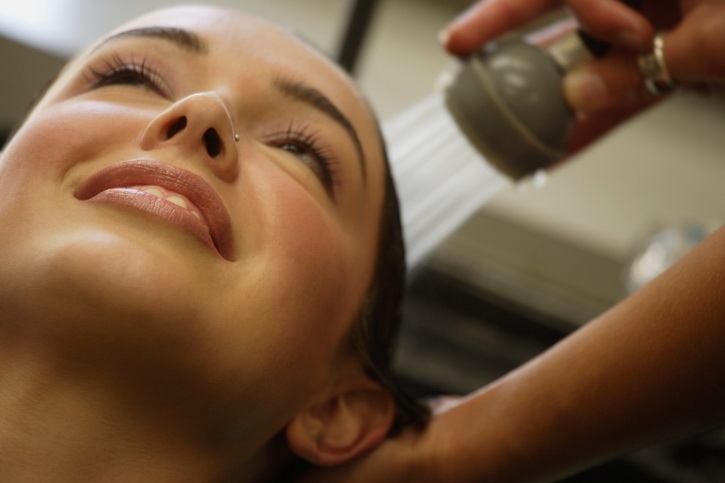 Most of the personal care products contain many dangerous chemicals in them. Some of them being petroleum-based parabens or sodium lauryl sulfate. The demand for chemical-free products have forced some of the companies to filter out certain toxic chemicals from their products however there are still many other chemicals such as cocamide DEA that is still found in the popular personal care products and yes, that includes some of the self-proclaimed organic and natural products. Also Read – Facts Uncovered – Can Wearing A Bra Cause Breast Cancer? CEH carried out the tests by purchasing the shampoos as well as the other products that had cocamide DEA at Bay Area, CA, locations of major retailers, apart from that also from online retailers since June. They sent it to an independent lab to know the exact content of the chemical used in the products. As per the findings more than 10,000 ppm cocamide DEA were found in many products. One particular shampoo apparently contained more than 200,000 ppm (20 percent) cocamide DEA. The brands that encompass the cancer causing product cocamide DEA are Colgate Palmolive and Paul Mitchell. Other brands include a lemon-scented kitchen hand wash that is sold all over by Trader Joe’s and also a brand called as “Organix” which is a ginger shampoo. As per CEH, every time a person squeezes out the shampoo there is at least one percent of cancer-causing cocamide DEA that you are exposed to. This product is applied on the scalp which is then absorbed into the skin. Okay, so one percent might not seem to be a big deal but take into account the number of times you wash your hair too. Back in 2012, following a test done by the International Agency for Research on Cancer, prompted California to declare that cocamide DEA is a carcinogen. The cocamide DEA could apparently react with the nitrites which are present in the cosmetic products, thereby forming nitrosamines, which has been classified as a potential carcinogen. Following this the CEH filed a lawsuit against more than 100 manufacturers of the products that encompassed the said cancer causing chemical. As per the lawsuit, each company required to pay $2,500 a day per violation. Apart from that they were asked to stop selling the products that contained the cancer-causing chemical, unless it has a warning notice about this chemical on the product. The issue is that the law is currently only applicable in California and not for the products sold in other states. That means we need to check the ingredients list to find out whether the product has any cancer causing chemical. To conclude, it is also a fact that so far the carcinogenic effects of cocamide DEA has not been proved; however is it worth taking a risk? The European Union Cosmetics Directive has restricted the concentration as well as the use of cocamide DEA in cosmetics, which simply means that cancer risk is not something that we can ignore completely.